1. Financial assistance upto 100% for deserving candidates. 2. Access to lectures from India’s finest faculty members. 1. Bachelor’s degree holders in Engineering/Technology. 2. 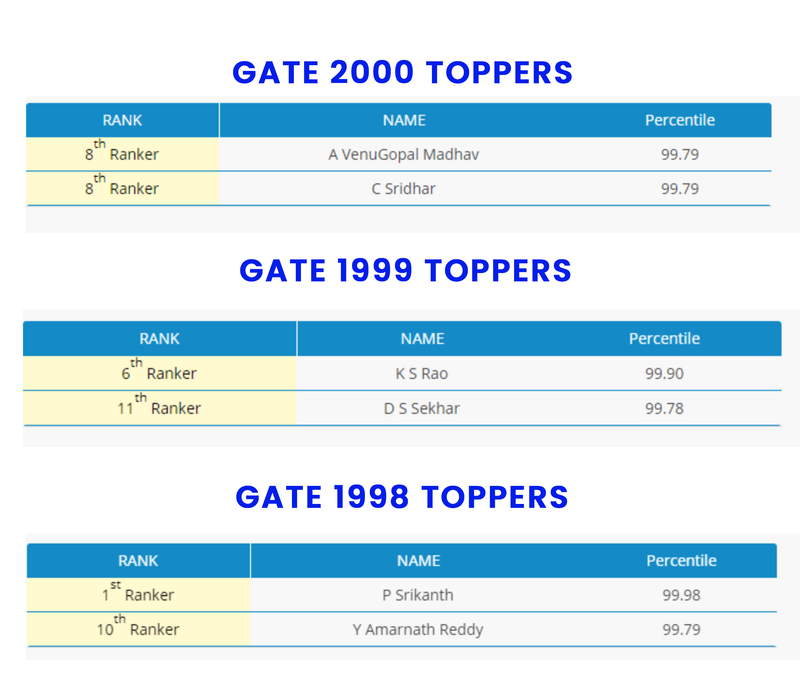 2nd , 3rd & 4th Year B.E/B.Tech college goers. 1. Mechanical Engineering: Thermodynamics, Heat & Mass Transfer, Production & Industrial Engineering, Fluid Mechanics, Theory of Machines & Vibration, Strength of Materials. 2. Civil Engineering: Design of Concrete Structure, Strength of Material, Soil Mechanics, Environmental Engineering, Fluid Mechanics, Highway Engineering. 3. Electronics & Communication: Network Theory, Control System, Analog Electronics, Digital Electronics, Electronics Devices & Circuits, Communication System, Signal & System. 4. Electrical Engineering: Network Theory, Control Systems, Analog Electronics, Power Systems Electrical Machines, Measurements. 5. Instrumentation Engineering: Network Theory, Control System, Digital Electronics, Signals & Systems, Measurements, Sensors & Industrial Instrumentation. 6. Computer Science & Information Technology: Digital Logic, Computer Architecture, Programming and Data Structures, Algorithms, Theory of Computation, Operating Systems. Engineering Mathematics, Reasoning & Aptitude and General English: As per GATE-19 syllabus. 1. 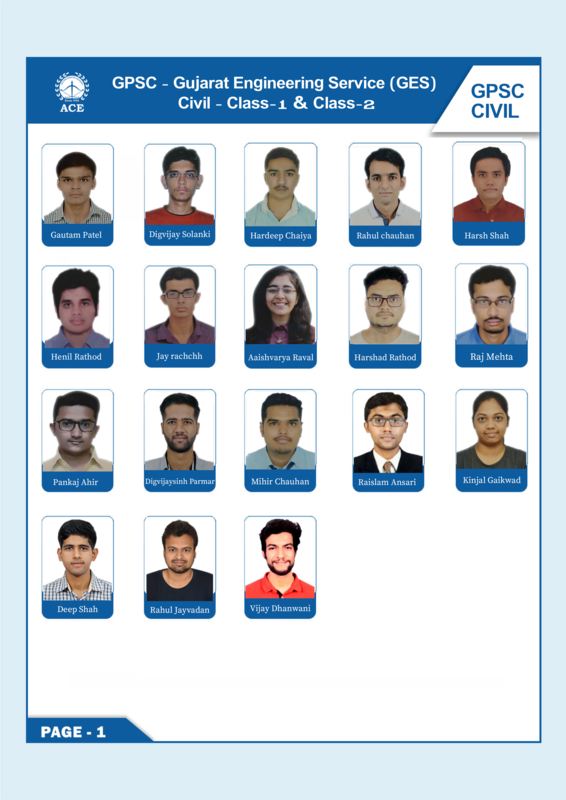 The qualified candidates must register with ACE Engineering Academy, Delhi in any comprehensive batch commencing in the month of April, May & June. 2. The qualified candidates have to register themselves within 15 Days from the date of result announcement by paying the entire course fee after deducting the scholarship amount. 3. Technical interview may be conducted for the top 10 rankers in each stream to verify the authenticity of the candidate before giving the specified fee waiver. 4. 100% Fee waiver availed Students Should Pay the Admission & Study Material Charges. 5. No other discount is applicable for the qualified students other than the scholarship amount. 6. This scholarship amount will be applicable for the month of April, May & June Batches only. 7. ACE Engineering Academy, Delhi reserves the right to change, modify or terminate the Online Scholarship Test at any point of time, at its discretion. 8. In all the aspects, the decision of the management of ACE Engineering Academy shall be final.